Want Reliable Outdoor Lighting without Wires? 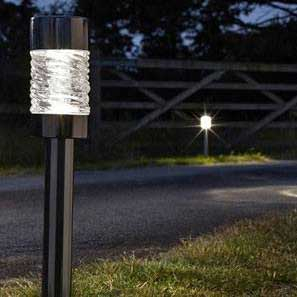 Affordable Garden Lights designed for the UK, with Increased Solar Cells and Battery capacity, Garden Lights Powered by Solar Energy, allow you to enjoy Outdoor Lighting All Year round. they are designed to work longer in winter time in the UK, Powerbee Lights are unrivalled in their performance / price range. Enjoy Lighting All Year round, Stroll around your Garden & Enjoy it at any time You want, from Pathway Lights to Security Lighting we have the range to suite your needs.